Using an integrated approach is a key to improving dyslexia and ADHD. We begin with Books Neural Therapy™, a natural, non-drug, one-on-one hands-on intervention program that addresses underlying body and brain synchronization issues that often accompany learning and behavior issues. BNT utilizes a multi-disciplinary, whole-body approach, that has been well-documented and field tested. BNT is based on the latest advances in neuroscience and grounded in biology. 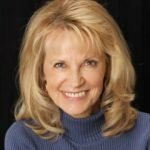 Dr. Phyllis Books’ systematic technique improves, and often reverses, the brain and body communication deficits accompanying learning disabilities and differences, Dyslexia, ADHD, behavioral issues, head traumas, eye tracking and balance, TMJ and various chronic conditions. Invisible, brain and body synchronization issues can keep people of any age from performing and feeling at their best. Although BNT is known for its success with learning and behavior issues, the truth is many chronic issues deserve this thorough and holistic approach. A learning difference can manifest itself in various ways, often escaping detection because of the variety of symptoms. It can account for a bright child or adult not performing as well as expected. Labeled and Frustrated: Most kids come to BFHC as another effort by parents to help their children. The kids have been labeled as “special” “dos this or that” or have a new set of letters to describe their behaviors, they have been tested and failed (or passed depending on how you look at it). Books Neural Therapy™, the gentle, hands-on, non-invasive, non-drug therapy that “re-wires” and repairs communication breakdowns between the brain and body, creates the foundation of the house. For a house to weather storms and growing pains, it needs a strong and resilient structure, which is exactly what BNT provides. The nervous system is a bit like the electrical system. Actually, there are many systems in your house that need to be included in a certain order to avoid long term pitfalls. Brainercises are a series of fun, simple body coordination movements and are used to support the work of BNT. We have several different programs available that use the Books Neural Therapy system, including programs for children, adults, and entrepreneurs. 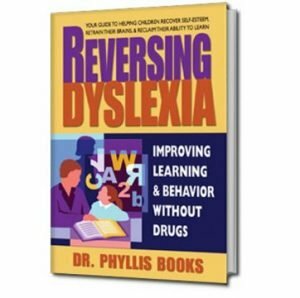 Families speak about the dyslexia reversing results of their natural treatment with Books Neural Therapy™ by Dr. Phyllis Books. Twelve students were pre-tested with the Wide Range Achievement Test, treated with Books Neural Therapy™ for nine hours over a six week period, and nine were posted tested with the Wide Range Achievement Test during the spring of 2001. Dyslexia includes reading problems… but it’s much more than reading. Dyslexia is a language-based learning disability. Dyslexia refers to a cluster of symptoms, which results in people having difficulties with specific language skills, particularly reading. Students with dyslexia usually experience difficulties with other language skills such as spelling, writing and pronouncing words. Dyslexia affects individuals throughout their lives. A brain timing and synchronization issue, neurobiological in origin, which can affect brain processing speed and efficiency. Dyslexia may affect reading, spelling, handwriting, math, auditory processing, problem solving, confusing right and left, balance and physical coordination. Once thought to be a permanent condition, new science and neuroplasticity shows brains can change throughout a lifetime thereby making it possible for dyslexia become a temporary condition. Lost? Trying to find your way in the world? Don’t handle rejection well (vs persistence in the job search)? Do you see why it is so confusing to find out what is really going on? There are many factors that may contribute to your child’s dilemma, and addressing one without addressing the others will only lead to more confusion and disappointment. The “old” ways of looking at dyslexia can actually cause pain and loss of hope. The Big Message: There is hope and there is help for dyslexia. Many neurological conditions, such as dyslexia, ADHD, sensory processing disorders, etc. can be rewired in the brain and body. Dyslexia does not have to be a life sentence. With the right help, it can be dissolved and real gifts can come forth. Absolutely. The current thinking is that it is something you have to learn to live with and make allowances for. By addressing the problem at neurological and developmental levels, Books Neural Therapy™ has an 85-percent success rate of correcting dyslexia. We work toward a permanent correction. What is Books Neural Therapy, and how does it help people? Books Neural Therapy is a gentle, hands-on, multidisciplinary approach for brain and health issues.. It incorporates the latest advances in neuroscience to improve the neurological deficits which often accompany learning differences such as dyslexia, behavioral issues such as ADD and ADHD, head traumas, eye tracking and balance, TMJ and various chronic health problems. It’s a way of finding the communication breakdowns in the circuitry (the nervous system) and then “rewiring” and “upgrading” the neurology via particular tracts (e.g. spinal thalamic tract) to help the entire person operate with more ease, efficiency and confidence. Stimulating the cranial bones, eyes, ears and TMJ (jaw joint) through repeated touch and movement helps to upgrade the functioning and coordination of various senses. Eight times out of 10, Books Neural Therapy succeeds, and when it does, lives change in major ways. The ability to read and solve math problems improves dramatically. Coordination improves. Chronic pain goes away. You regain control of your life, and your friends and family, colleagues and co-workers take notice. Books Neural Therapy has changed the lives of thousands of people, of all ages, around the world. Typically, Dr. Books and her team see clients for 18-20 sessions (two 30-minute sessions per week over 10 weeks) of Books Neural Therapy™ plus allergy desensitization, biofeedback (optional and an additional 60 minutes), nutritional and emotional issues during THE INTENSIVE PHASE. The INTEGRATION PHASE follows with once a month or quarterly sessions for the remainder of the year. Because many people fly in from long distances, we offer five, seven and 10 day fast track intensive programs with multiple sessions per day followed by quarterly re-evaluations done in person or via skype. Once the initial phase (The Intensive Phase) is complete, the corrections hold. That is one of the most exciting things about this process. The initial treatment takes approximately three months, and the effects last forever. Follow up care integrates growth spurts, hormone changes in children and offers “tunes ups” and tweaking to the adults. Books Neural Therapy (BNT) is a comprehensive therapeutic combination of treatments to address various emotional, behavioral and cognitive issues that have neurological roots. It is well-known for helping dyslexia, ADHD, various learning and behavior challenges, peak cognitive performance, peak athletic performance issues in all ages, and chronic health issues, such as migraines, jaw joint issues, head injuries and accidents. We offer a unique and comprehensive program that starts with the very foundation of the learning process – the body itself. Our brain and our body develop in stages. Books Neural Therapy™ follows those natural stages. We learn long before we start school. All the neurological processing and developmental stages must be in order for reading and other learning to develop with ease. Foundations need to be built in stages so they are strong and resilient. By addressing the various stages of neurological development and correcting any weaknesses, Books Neural Therapy helps “upgrade” the entire system; thus increasing efficiency and reducing wear and tear on the whole person. Human beings are complex. Addressing a problem from only one viewpoint often corrects only part of the problem. Books Neural Therapy utilizes a wide range of therapies including the latest advances in neuroscience as well as common sense and natural, non-drug methods of enhancing learning, coordination and self-esteem. Our goal is not compensation (treating learning differences as a permanent condition you must learn to live with), but rehabilitation. We work towards a permanent correction of the problem. Contrary to popular belief, learning differences can be temporary conditions that are treatable. The state of the brain and nervous system determines the way in which a person learns and can greatly impact behavior. The basis of a healthy brain begins in utero and development continues until early adulthood. Each layer of the brain is constructed upon the existing layer. Traumatic events may impact a certain layer of the brain during development. Also, because development does not stop, one trauma can disrupt the development and structure of subsequent layers of the brain, and its proper integration with the body, and other senses. All trauma—physical, emotional, or chemical—can disrupt the proper development of the brain. Physical trauma can be obvious such as serious accidents, abuse, or repeated surgeries, but it can also be as subtle as a difficult birth or a toddler’s fall. Likewise, emotional trauma can include PTSD or surviving a natural disaster, or simply disappointment at a tender age. Finally chemical exposure can include chemotherapy, exposure to pesticides, suffering from severe allergies, vaccinations, or consuming too much sugar. According to this definition, we’ve all have experienced some sort of trauma during our lives and much of that trauma can be reversed by Books Neural Therapy™. The brain can be divided into three major areas: the reptilian brain, the limbic system, and the neocortex. The areas develop in sequence and govern different functions. The reptilian or basic brain develops first, and governs basic survival including the fight-or-flight response. The limbic system, or the emotional brain, is involved with emotion, motivation, and a sense of belonging. The limbic system is also responsible for effective communication of the reptilian brain with the higher brain, or the neocortex. The neocortex is the portion of the brain responsible for language, planning, and abstract thought. Many therapies for learning disabilities focus solely on the neocortex. But, as you can imagine, dysfunction in the other brain layers can impact the neocortex. If the reptilian brain has been impacted by trauma, the person may have an inappropriate fight-or-flight response in school, around certain subjects, or learning activities. It is hard to read aloud when your brain is telling your body it is in danger. Similarly, it is difficult to learn if there are traumas in the limbic system. This may result in inappropriate emotional responses to learning issues. Other than the brain itself, the skull can greatly influence the ability to learn. It has been assumed that once the bones of the skull “fuse” in babies, the bones are fixed. But there is good evidence that the bones of the skull continue to move slightly throughout life. Any sort of cranial trauma, including slight bumps to the head, can cause the bones to adhere strongly to themselves. As a result, the natural movements or flexibility of the skull is affected. As most know, the senses, particularly vision and hearing, are highly involved in learning. Also involved is the sense of proprioception which is the brain’s sense of the body and its movement through space. Proprioception relies upon the vestibular system and also kinesthesia, which receives input from the muscles (muscle spindles) and the tendons (Golgi tendons). Abnormal proprioception is often seen in those with learning difficulties as clumsiness and a feeling of disconnectedness with one’s own body. After completing the entire series of sessions: In order to ensure the reversal treatments “hold” and you or your child continue to reverse the challenges completely, it’s important that he or she execute the year long follow up exercise program. Quarterly tune-up appointments are helpful. The parent will be responsible for completing very simple but important reports that help us determine where we can best support your child’s continued success. The parent will also be responsible for delivering and collecting a very simple but important report from the child’s teachers on a semester basis. Again, this is crucial feedback that will allow us to best support you and your child. All of this will be explained in detail and all questions answered during our intensive work. Is there any scientific basis for Book Neural Therapy? Or is this one of those “fluffy” unproven techniques? Neurologic therapy as done in Books Neural Therapy™ addresses the neurobiological development of the human being. It is “foundational” work in that it provides often missing building blocks to a cohesive and smoothly integrated nervous system. The hottest area in brain research is currently the “basic brain,” which Books Neural Therapy zeroed in on many years ago. You may also hear the basic brain referred to as the hindbrain, basal ganglia, cerebellum, etc. If it isn’t in proper working order, higher-order learning will have “glitches” in it. See also Research section. Why do you call Books Neural Therapy™ “foundational work”? Books Neural Therapy™ addresses the foundation of our biological and neurological development. The foundation, at the level of the brain, includes the reticular activating system, cerebellum, basal ganglia and other “hindbrain” functions. Once these basic balance, vestibular and survival systems are addressed, we graduate to the limbic system, and then the various neocortical and cognitive functions. It’s all done in a very precise, orderly and developmental sequence. I’m skeptical. I’ve already spent money on other therapies that didn’t work. Why should I believe Books Neural Therapy will work? Many people who come in say they wish they had tried this first. Even if other therapies haven’t worked, there’s no reason to give up hope. Many times, Books Neural Therapy causes work done in the past to suddenly “sync in” (like puzzle pieces fitting together. That is because that previously unprocessed information is still roaming around inside you, waiting for something (in this case Books Neural Therapy™) to show it where to go. What other therapies could I compare this to? No other therapy completely compares. Sensory Integration, often performed by occupational therapists, uses some of the same components, since it deals with sensory input to the brain. Other professionals who address parts of this complex therapy include chiropractors and osteopaths (spine and visceral relationships), various therapists (cranial sacral therapy), nutritionists, neurologists and psychotherapists. What’s unique about Books Neural Therapy is its whole-body approach. Books Neural Therapy is an incredibly logical and sequential series of adjustments to the brain and nervous system, designed to significantly improve brain function. It’s the first time anyone has thought to address the neurological system in a non-invasive, natural way. Our traditional, Western medical model focuses on medication and invasive surgical procedures. Books Neural Therapy™ does not. Books Neural Therapy is a completely natural and non-invasive way of dealing with cause-and-effect relationships in the brain and body through gentle touch on key developmental reflex areas, bones, muscles and fascia, to name a few. How is Books Neural Therapy™ so different from other therapies? Our motto is “first things first.” We don’t put the cart before the horse. We start with building a healthy foundation. Just like a building, that foundation needs to be built correctly and in stages, or it won’t be able to withstand stress and strain. By addressing various stages of brain development and correcting weaknesses (mechanical, neurological and emotional), Books Neural Therapy™ helps “upgrade” the entire system, thus increasing efficiency with less wear and tear on the body. Books Neural Therapy™ addresses learning and health challenges by incorporating a multidisciplinary approach. For a house to function well, plumbers, electricians, carpenters and decorators all contribute to the final product. In human beings, for all systems to work optimally, it is important to get an overview of various systems. Can you give me an example of how BNT checks out the “first things first”/basic functioning? In a house, you wouldn’t lay down the carpeting before the foundation was strong and sturdy. You wouldn’t put up the curtains until the walls were up and the windows installed. Books Neural Therapy™ looks at the foundation level for causes. If someone notices a vision problem, most people would go first to the optometrist or ophthalmologist. However, a Books Neural Therapist would go back to foundational issues and would therefore check the housing of the eyes (the bony structure that encases the eyes) and the four cranial nerves that address eye movement and function. If the eye muscles are tighter on one side than the other, it will be impossible for the eyes to track together and reading will be slower. Depth perception could be affected, which would impact the ability to judge distances in sports or while driving a car. These are structural and neurological problems and need to be addressed at those levels. The person may still need eyeglasses. But the eye doctor will be addressing near and far vision, astigmatism, etc., and not the foundational component addressed in Books Neural Therapy. Are there any “body clues” that I could benefit from Books Neural Therapy? 1. Have you ever fallen on your head or your tailbone? 3. Do you have an uneven gait (non-fluid or ungraceful walk)? 4. Any TMJ problems (grinding your teeth at night, braces, popping jaw)? 5. Ever been knocked unconscious? 6. Any scoliosis (sideways curve in the backbone)? 7. Learning difficulties? Sequencing issues? Who responds to Books Neural Therapy™? People with learning problems, neurological problems (learning has a neurological component to it! ), brain injuries, physical coordination problems, too much stress….In short, almost anyone can benefit from Books Neural Therapy™. It is particularly dramatic, however, for people with learning problems and brain injuries. If I decide to do Books Neural Therapy™, how long before I see results? Different people respond differently, but many times, people will notice changes to their behavior, sleep patterns and physical coordination after the first session or the first few sessions. For some people, the changes are more subtle. Sometimes, the people around us notice changes before we do. That’s why, after the first six weeks, we ask what you’re noticing and what others around you are noticing. First, a very thorough case history is taken, followed by neurological, structural, educational and cognitive testing. Each person is unique, and each treatment plan takes into account the patient’s strengths, weaknesses and goals. A plan is developed and discussed with the patient before treatment begins. Pre- and post-testing yields measurable changes. Additionally, the patient’s family is asked to report back to us any quality-of-life improvements. After the initial phase of care, then what? The initial phase is the most dramatic for most people. However, we all know it is easy to slip into old patterns when we are around family or friends…especially when those around you don’t acknowledge the “new” you and keep treating you the way you were before Books Neural Therapy. That is why Books Neural Therapy™ likes to monitor patients for an entire year. That way, we can keep fine tuning the progress and catching any destructive patterns quickly. It’s important to exercise on a regular basis to stay in good shape. That’s why we go to the gym, and take our cars in for tune-ups. Our bodies and brains are no different: They need regular tune-ups too. How long will the changes last? The great thing about bodies is that they are so willing to change. Once a person finally discovers what “normal” is, he or she wants to stay there. One of the wonderful things about this work is that after the initial phase of three months, the results are very, very long lasting. This means you don’t have to come in forever. Three months after therapy, and again at a year, we like to retest people to see the longitudinal effects of this work. After that, we ask patients to complete questionnaires once a year. We have lots of reports of this work “holding” five, 10 and 15 years later. Can the client get worse during treatment? No. The goal in Books Neural Therapy™ is to integrate and normalize various systems in the body and brain. People don’t get worse or develop new symptoms. The worst thing that can happen is that nothing happens (in about 15 percent of cases). For the most part, people feel an increased sense of wellness, and coordination of body and of brain function, after the first few sessions. Some people feel changes after the first session. Patients who are less tuned in to their bodies feel changes after several sessions. In a typical case, around the 12th to 16th visit, we ask the patient (or the parents, where applicable), what changes they have already noticed and what areas need to be fine-tuned. Maybe three times over the 30 years, a patient has been “out of sync” for a day while changes are going on inside the body. The integration of the therapy continues for several months and over time patients find themselves with new and improved versions of what normal means for them. After we review your particular situation, we will discuss other things you can be doing to help strengthen the effects of Books Neural Therapy. Nutrition, lifestyle and daily patterns are addressed. We try to assess your strengths as well as weaknesses, and then find ways to allow the strengths to help the weaknesses. Will the corrections fade away over time? One of the wonderful things about this kind of care is that once the body finally “gets” what normal is, it wants to stay there. The treatment usually consists of about 18-20 sessions over a two- to three-month period. And, after the initial series of treatments, we have pre and post measurements that indicate the completion of Phase One. At that point, the corrections hold beautifully. Recently, we have begun to monitor patients for an entire year, and then retest them at the end of that year, to see how much they have improved overall. Earlier you mentioned “survival mode.” What do you mean by that, and how does one get out of it? A person in survival mode is, at some level, waiting for something similar to happen again, and they are at the mercy of a nervous system that replays this tune like an old record. That’s often the reason people seem to make the same mistakes — again and again and again. Frustrating matters further is the fact that people can’t, by their own conscious control, reset the dial. It’s frustrating for the person, and for the people around him or her. For many adults in our “hurry up culture,” stress keeps them locked up in a sort of survival state. For overly stressed people, the sympathetic (fight/flight or emergency) part of their nervous system is definitely on overdrive, and the parasympathetic (restorative and replenishing) part of the nervous system isn’t allowed to come in and balance out the system. Children or adults with ADD (Attention Deficit Disorder) seem to have two speeds: fast and stop. You seem to emphasize addressing the nervous system. Why? The nervous system, like Grand Central Station, continuously has information coming in to the brain and going out to the body. The nervous system coordinates body movements and brain function. Gross motor skills (e.g. running and jumping) need to be in good working order BEFORE fine motor skills (handwriting) can function at their best. How do you know what part of the nervous system to address? Again, our motto is “first things first.” Luckily, there is a design already built in to us. There are developmental sequences that have a particular order. If one is skipped or glossed over, the parts that come after it won’t be able to connect properly. There will be weak links in the chain. In biology, psychology and neuroscience, there is much information available on proper development. Books Neural Therapy™ keeps up to date on advances in neuroscience and incorporates new findings into the treatment protocol. Will Books Neural Therapy™ improve my reading? Yes. Improved reading speed and comprehension is one of the things Books Neural Therapy™ does best. Will this help with “focus”? There is a structural and neurological component to focusing problems. Allergies can also play an important role. Allergies and nutrition are also part of the “big picture” approach to treating focus and behavioral problems. It has been gratifying over the years to hear the many stories about how people’s entire lives came into focus once Books Neural Therapy™ was completed. People have changed jobs and careers, gotten promotions, gone back to school, stood up in front of crowds to speak, etc. It’s a game changer. Tell me a bit more about how nutrition factors into the work you do through Books Neural Therapy. Many times, diet could use major improvement. And many times, neutraceuticals can help the biochemical end of treatment. Those will be discussed on an individual basis. We perform testing to see the needs of individual clients. Sometimes the origin of these neurological problems is hereditary. Sometimes it’s due to a knock to the head (the injury could be old or new) or a fall on the tailbone. Sometimes it’s biochemical, and sometimes it’s severe allergies. Many times, when the problem has some genetic predisposition, I ask “who in your family looks like you.” Even if the problem is cross-generational, there is help available. What do you do with the eyes and eye tracking? As human beings, we have several balancing and righting mechanisms in the body. Above the trunk itself, at the level of our head, our eyes and ears do a lot of the “righting” or correction to our perceptions. Actually, 94 percent of what we see is our brain’s interpretation of what we see. Only six percent is literally what our eyes see. Many times, however, the eye muscles are not totally coordinated. This could be from a fall or trauma, or one of the four cranial nerves that deal with eyes might be malfunctioning. The sphenoid bones, which form part of the eye socket, might be slightly askew. You see, the sphenoid bone has greater and lesser wings — which resemble airplane wings. If one wing is higher than the other, the eyes will have great difficulty tracking together. If eyes aren’t tracking in sync, or if the eye movement and auditory channels are out of sync, reading will be much slower. Have you worked with very serious head injuries? What do you do? Yes, both immediately after the trauma, and also years later! What we do is the foundational work that Books Neural Therapy is known for. We “rebuild” their neurological system, starting at the very beginning, with primitive reflexes dealing with balance and centering, progressing to hearing (auditory) and visual reflexes. Think of it like an orchestra, with the brain as conductor and the various systems as the instrument groups. We work with one group, then another and another. When each section can play its part, we bring the parts to play together in harmony. And soon we have a full orchestra…with a breadth of possibilities for health and well-being. What do you do for brain injuries – from subtle to very serious head injuries? Subtle brain injuries, when a person wasn’t knocked unconscious, for instance, can still carry enormous impact to the brain. These accidents, common in high school athletes, for instance, often are brushed off as insignificant. New evidence shows that if a person sustains a second “subtle” brain injury before the first one heals, chances of total recovery are endangered. For severe brain injuries, Down’s syndrome, autism, etc., will the patient’s cognitive function improve or change? Good question and of great concern to many people. Unfortunately, there isn’t an easy answer on this. Each case is individual. After a thorough case history and evaluation, the doctor will tell you reasonable goals in your particular case. After many years’ experience, Dr. Books will give you hope where it is realistic and be truthful when current evidence indicates otherwise. How do you work with the TMJ (jaw joint)? Interestingly, there is a strong and important reciprocal relationship between the jaw bones and the pelvic area. Both deal with primitive survival issues (eating and procreating to stay alive); both deal with centering and balance. When a baby goes from crawling to standing, the pelvic area and low back help to stabilize the child. The last “righting” or balancing mechanism in our bony structure as we stand upright is the jaw. It will attempt to “right” any imbalances from the spine. In Books Neural Therapy™, we address each area separately and then together. There are many, many steps to this fascinating TMJ component. I don’t live anywhere near a Books Neural Therapist. How can I get help? Many people from long distances fly or drive in and stay for five days for an intensive Books Neural Therapy™ session; by working together multiple times in one day, we can complete three months of therapy in five days. Many people actually prefer that and can see results faster that way. Follow-up care is still required, and can often be handled by a professional close to the patient’s home. In fact, oftentimes that same professional refers them to us for care, and then monitors the client. Dr. Books redefines dyslexia and shows how new science is backing up her long-held experience that dyslexia can be reversed. 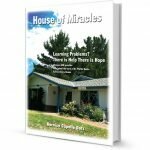 Based on actual cases of physical, learning, and neurological problems, House of Miracles showcases the work of Dr. Phyllis Books in solving otherwise unsolvable problems. We now know that many disorders (e.g., Dyslexia, Learning Disabilities, ADHD/ADD, Neuro Sensory Processing Disorders, Head Injuries/Concussions, Eye Tracking/ Balance Problems, Allergies, TMJ (Jaw joint), etc.) are caused by undiagnosed neurological deficits. When left untreated, the freedom to learn and thrive is unavailable and our self-esteem becomes tattered. Dr. Books’ discovery, Books Neural Therapy™ (BNT), is an innovative and completely natural method for regaining better health and effectively rewiring the foundations of the nervous system and reversing the conditions arising from these brain /body glitches known as neurological dysregulation.